Internal combustion engines have truly been a hallmark of 20th century invention and innovation. They have powered cars, trucks, aircraft, boats, and much more. These are machines that are the workhorse of the modern era, so it helps to know a bit about how they function, and what characterizes their operation. The fact of the matter is that while many engine designs incorporate internal combustion principles, that does not mean that they all transmit power in the same way. An example of this statement is a comparison between a high bypass turbo fan jet engine, and a typical gasoline automobile engine; they both rely on internal combustion for power generation, but one engine uses a turbine while another uses a complex gear system with axles. Just as these represent two different types of engine variations, the comparison of a diesel engine vs gasoline engine is another one that should be considered. 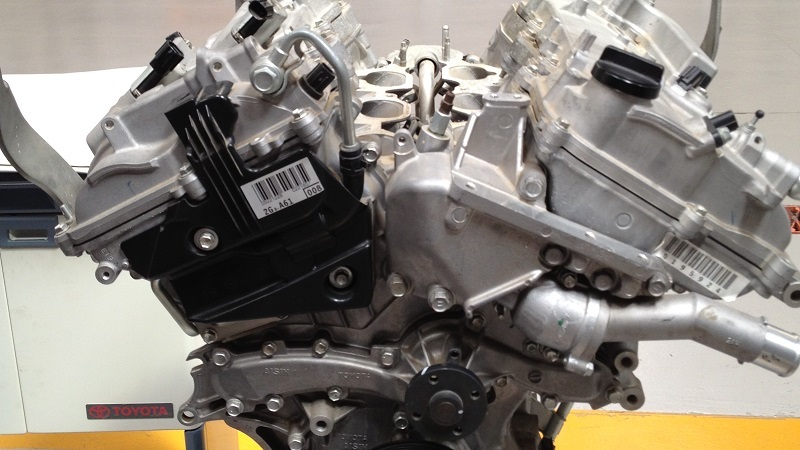 For anyone interested in finding out more about the differences and similarities between diesel engines and conventional gasoline engines, some additional information on the topic will be shared here. When it comes to the main similarity between gasoline and diesel engines, this is of course the fact that both engines utilize the principles of internal combustion for energy generation and basic propulsion. They both work from the basic inputs of heat and pressure to drive an internal mechanical structure which transfers power to the axles and wheels that make a vehicle move. When we address the differences with gasoline and diesel engines, one of the most obvious differences is the type of fuel being added to the vehicle. Diesel fuel is different than conventional unleaded gasoline, and these fuels are not compatible. In other words if a driver attempts to put diesel fuel in their conventional automobile, they will be calling a tow truck soon after. Mechanically speaking, the primary difference between gasoline and diesel engines is in the way the internal engine explosions are taking place. Within a typical gasoline engine, the gas is going to be first mixed with air, then the mixture is compressed and ignition takes place via spark input from a spark plug. This basic model for combustion is different with diesel engines. The reason for this is because in a diesel engine, the incoming air is actually going to be compressed as the first step in the process. After the air is compressed first, then the diesel fuel will be injected after that. One of the predominant uses of diesel engines in the world today is in the transit of raw materials and goods. Most of the worlds shipping is actually carried out by the use of large scale diesel engine eighteen-wheel style trucks. These kinds of commercial trucks carry huge amounts of cargo and goods at a time, and there are many different trucks all operating at the same time on the world’s roadways. Conventional gasoline engines are much more oriented to consumer transit and travel, as they are typically outfitted in most consumer cars, trucks, and SUV’s with the exception of a view diesel makes and models here and there. What Happens if You Put Gasoline in a Diesel Engine?